Custom cut for an exact fit, Lloyd Corvette Cargo Mats are just what your C6 needs to give it a little style and protect your cargo area at the same time. The custom and edgy Jake Skull Logos are sure to get your car some deserved attention. Lloyd Corvette Cargo Mats feature a traction back slip resistant rubber backing that along with the built in factory style mount tabs will keep your Lloyd mats from moving out of place. 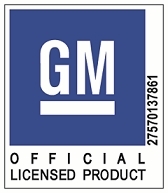 Lloyd Corvette Cargo Mats also come with a special latex coating that protects them from rain, mud and snow. Each Lloyd Corvette Cargo mat has a 5/16" pile height and a polypropylene mesh to assure stiffness and keep it looking new for years. Lloyd Corvette Cargo Mats are a perfect match to the color of your Corvette interior. 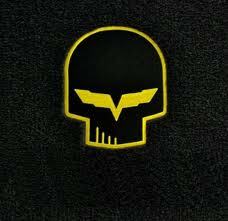 They feature the popular Jake Skull Logo and are available in 2 styles: Skull Only (single logo), or the Skull and the word "Corvette" embroidered in the GM Licensed Corvette font right below them (double logo). The stitching can be done in either yellow or silver. 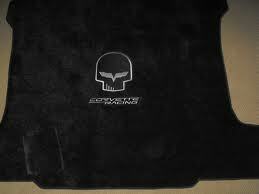 The Lloyd C6 Jake Skull Corvette Cargo Mat fits all C6 Chevy Corvettes from 2005-2013. Please be sure to indicate whether you have a coupe or a convertible above, as the cargo mat is different depending on the model.